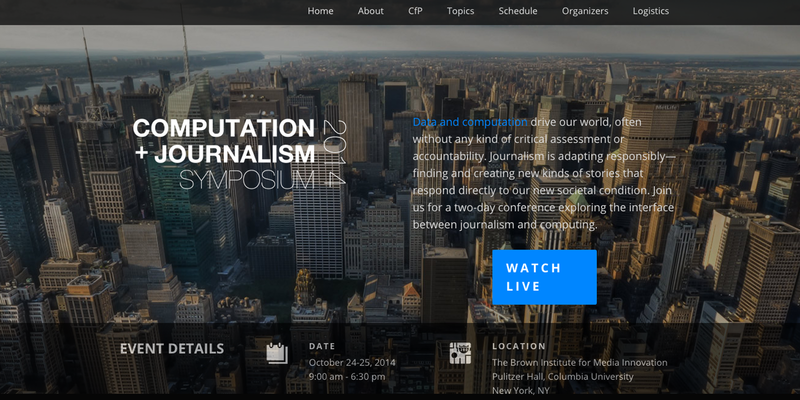 The Computation+Journalism Symposium is a celebration and synthesis of new ways to find and tell news stories with, by, and about data and algorithms. It is a venue to seed new collaborations between journalists and computer and data scientists: a bazaar for the exchange of ideas between industry/practice and academia/research. 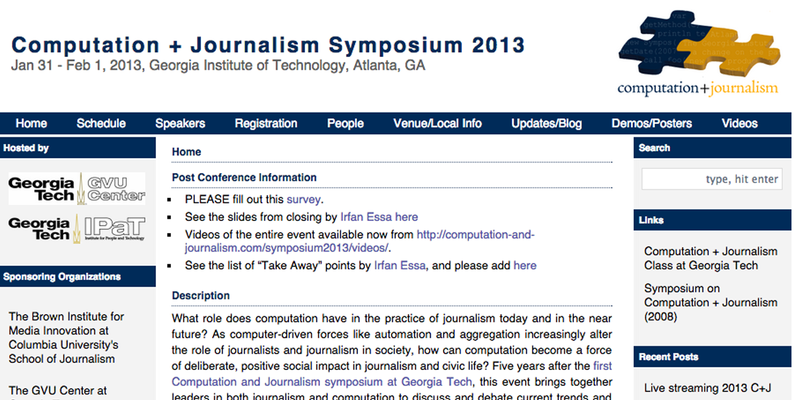 Journalists working today routinely encounter social and political systems that are driven by new technologies. To critique their operation, a journalist needs an understanding of computation - of the consequences of classification and counting, of the collection and analysis of data, and of the accountability of algorithms. Far from virtual, inert quantities, data and computation exert real forces in the physical world, shaping and defining systems of power that will play larger and larger roles in people's lives. Journalists, "the explainers of last resort," need to adapt responsibly—finding and creating new kinds of "stories" that respond directly to new technologies, whether that “story” be a piece written in English or in Python, a data visualization, an API or database, an immersive virtual experience, or a sensor drone deployment. 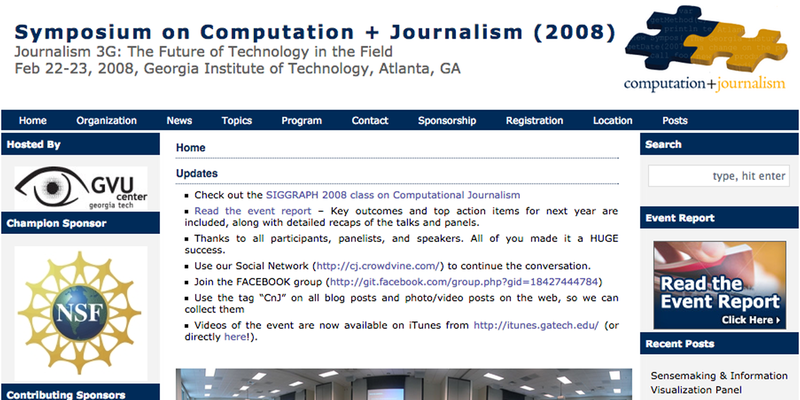 Computation+Journalism is a forum for discussing the ways journalism is and should be adapting in the face of new technologies. We invite the participation of a broad range of thinkers, doers, and storytellers to this interdisciplinary meeting, a hybridization of journalism and the computing and data sciences. We want to hear from journalists with an interest in, or experience in, developing new technologies or applications, and from data and computer scientists working in news, or storytelling broadly, and collaborating or hoping to collaborate with journalistic organizations.